So You Want a Pit Bull? Of course you do! Pit Bulls make great pets, and there’s a lot to love about this breed. But is the American Pit Bull Terrier really the right dog for you? Take a moment to answer these questions and find out! Why Do You Want a Pit Bull VS. Another Breed? Your reasons for being attracted to this breed can serve as valuable indicators of your suitability as a pit bull owner. Let’s look at a couple of good reasons for wanting a pit bull–and a couple of bad ones. Provided the other prerequisites for pit bull ownership check out (keep reading), these folks should be very happy with their choice: Few breeds bond as closely with their human companions as pit bulls, and as the star athletes of the canine world, pits can not only keep up with the most active of owners, they’ll have a blast doing it! While pit bulls may indeed intimidate people (something those of us who love the breed are working hard to change), they do not make great guard dogs. The typical American Pit Bull Terrier is so fond of humans, he’s likely to greet an intruder as a potential new friend! Moreover, pit bulls crave human interaction and will be miserable if banished to the yard and ignored. As for Mr. Tough Guy, if you are so insecure you feel you need a pit bull to advertise your “toughness” to the world, you would be better served seeking therapy than getting a dog. Encouraging aggressive behavior and a short fuse in your dog is a recipe for disaster that could get both of you into serious trouble. Unfortunately the consequences are likely to be far more severe for your pit bull than for you. 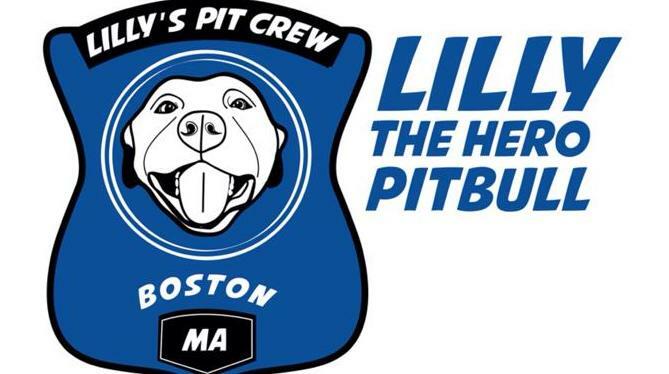 Are you committed to training your pit bull? All dogs need to learn at least basic commands and rudimentary manners, but due to the current anti-pit bull hysteria, training is especially important for bully breeds. A Cocker Spaniel who jumps on people may annoy them; a pit bull who does the same will terrify many people. As a responsible pit bull owner it is incumbent on you to ensure that your dog is well-behaved. Are you prepared to spend 5-20 minutes a day teaching your pit bull basic commands (e.g., sit, down, stay, come, off) and manners (e.g., walking on lead without pulling, not jumping on people or furniture unless expressly invited)? Can you afford a pit bull? Food, vet visits, spaying/neutering, licenses, heartworm prevention, flea control, crates, beds, leads, collars, bowls, car restraints, boarding kennels, grooming, training, treats, toys–it all adds up. First-year costs typically run between $800 and $2800, depending on how much stuff you need and how fancy you want to get. And that doesn’t include the $50-200 it will cost you to adopt a pit bull from a shelter or the $500-1000+ a responsible breeder will charge you for a puppy. Expect to pay $500-$2000 a year after the initial expenses. It’s also a good idea to have at least $1000 in savings in case of a medical emergency. Are you able to provide a pit bull with sufficient exercise? Your dog needs to run and romp, which may present a challenge if you live in an apartment or a townhome with a yard the size of a postage stamp. In that case you’ll need to take your pit bull somewhere he can run and play off-lead–safely and legally, of course. If you can’t provide your dog with a good run at least 1-2 times a day, you’re better off with a less energetic breed. Will you have enough time for your pit bull? Pit bulls are happiest when living indoors and tightly integrated into their human family. Expect to spend at least two hours of quality time with your American Pit Bull Terrier every day. That’s the bare minimum. Is your yard securely fenced? Leaving your pit bull in the yard when you’re not home is generally not a good idea. But even when you are home, an unsupervised pit bull can quickly escape and get into trouble. With their high intelligence, unparalleled athletic ability, and relentless determination, pit bulls are master escape artists, so a secure yard is a must. Can you cope with hostility and prejudice against your pit bull? Thanks to sensationalist media reports and the actions of irresponsible owners, many people these days have a grossly distorted view of the American Pit Bull Terrier. When you venture out in public with your pit bull, you are likely to encounter a range of reactions including fear, hostility, and curiosity. Your neighbors may also express concern when you bring home a pit bull, especially if they have small children or dogs. The best way to deal with people’s misconceptions and prejudices is not to validate them. A friendly, responsible owner with a happy, properly socialized, and well-behaved pit bull does more to change minds and rehabilitate our breed’s image than articles or statistics ever could. Are there any laws prohibiting pit bull ownership in your area? Before you bring home your pit bull puppy or adult, make sure there is no breed-specific legislation banning pit bull ownership where you live. Keep in mind that BSL isn’t limited to state, county, and city ordinances; if your house is in a subdivision, carefully check the rules & regulations for anti-pit bull provisions. So, how did you do? Do you have what it takes to be a responsible pit bull owner? Unfortunately pit bulls are abandoned in droves because many people underestimate the cost of ownership and the breed’s exercise, time, security, training, and companionship needs. There’s nothing wrong with waiting a year or two until you are better situated before bringing home your new canine companion. In the end, the wait will be well worth it. Because if you have the time, energy, and patience to give this breed a good home, you’ll find no happier, more loving, or more devoted companion than the American Pit Bull Terrier. As much as I believe every home would be happier with a dog in it, in reality not everyone should have a dog. I think many of the above questions should be asked by anyone wanting to get a pet. It is heartbreaking for all concerned to bring a dog home only to have to return or surrender it for one reason or another. Please consider all the info above, and if the answer is you are ready and willing I believe it will be the best decision you could make!